The great Tang emperor Ming Huang (reigned A.D. 712-56) was an outstanding patron of the arts, and music flourished at his court. 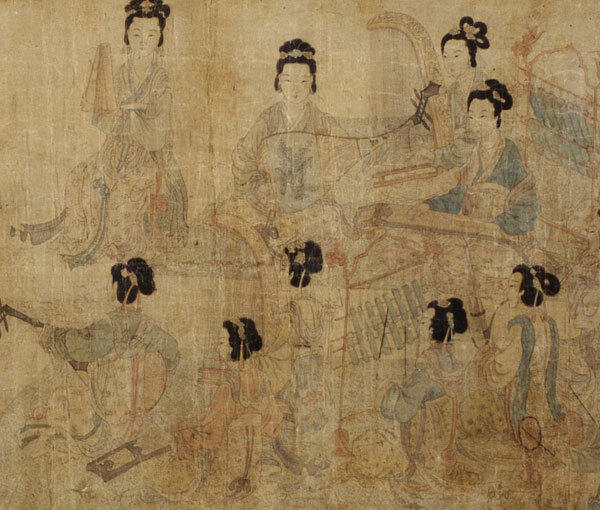 This subject- women orchestral musicians playing for the emperor and his concubine Yang Gueifei- is known in several versions that go back from Ming through Song (A.D. 960-1279) to a famous Tang (A.D. 618-907) painting, or a Five Dynasties (A.D 907-960) prototype (now lost). 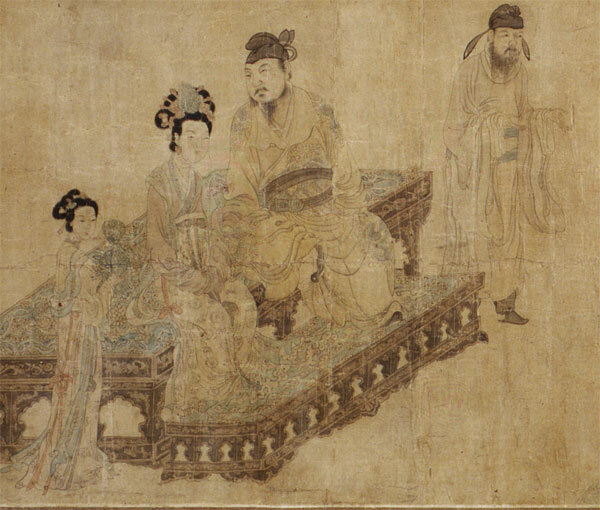 The work illustrated here, which recalls the painting of the Yuan dynasty (about 1280-1368) court, has features that signal a new interpretation of an older style: sophisticated poses, complex relationships between figures, exquisite calligraphic drawing, and harmonious colors. Three seals affixed to the end of the scene, attributed to Qian Xuan, are modern additions.